Digg happens when the music hits just right. When you can’t help but nod your head, gyrate your body, and smile from ear to ear. 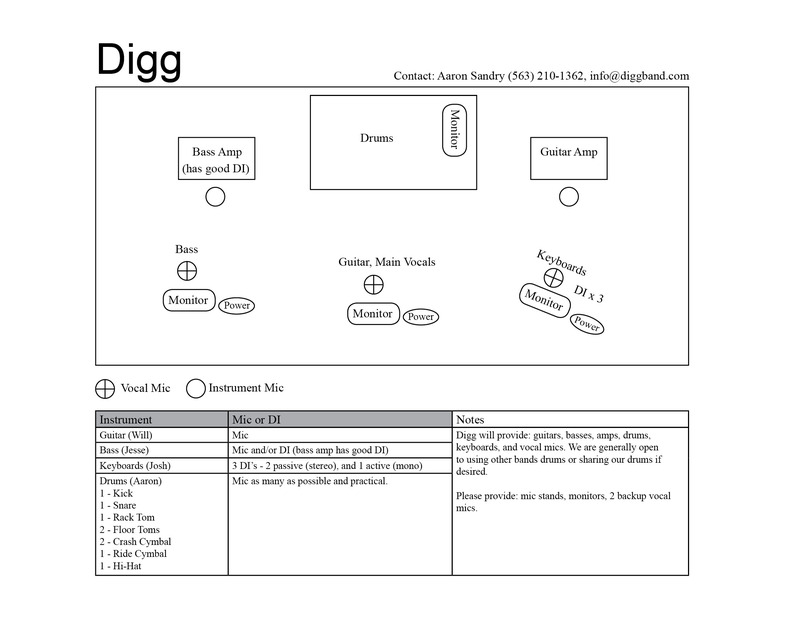 Digg started groovin’ in Denver, Colorado in 2012, playing a variety of styles such as rock, funk, blues, and jazz. As the band grew they began to create their own unique style of rock and funk. Digg emphasizes melodic guitar harmonizing with grand keyboards, funky bass grooves, improv solos, and thought-provoking lyrics. Digg's sound has the unique ability of connecting to a large variety of music fans from many genres. This has allowed Digg to grow a large, dedicated family that has seen the band directly support acts such as George Porter Jr. of The Meters, The Main Squeeze, Sister Sparrow and the Dirty Birds, Orgone, Soul Rebels, The Revivalists, The Delta Saints, and Mike Dillon among others. Digg is always pushing forward and will continue to tour throughout 2017 in support of their recently released album There Are Days.